Thirty-three percent of small business owners place a high priority on technology investment, according to eMarketer. As a Los Angeles business owner, you seek out new ways to improve your operations, but you may face several roadblocks along the way. By learning about these inevitable IT problems now, you'll be better prepared to overcome them and get more ROI from your technology. An outage in your infrastructure can cause major setbacks for your business. 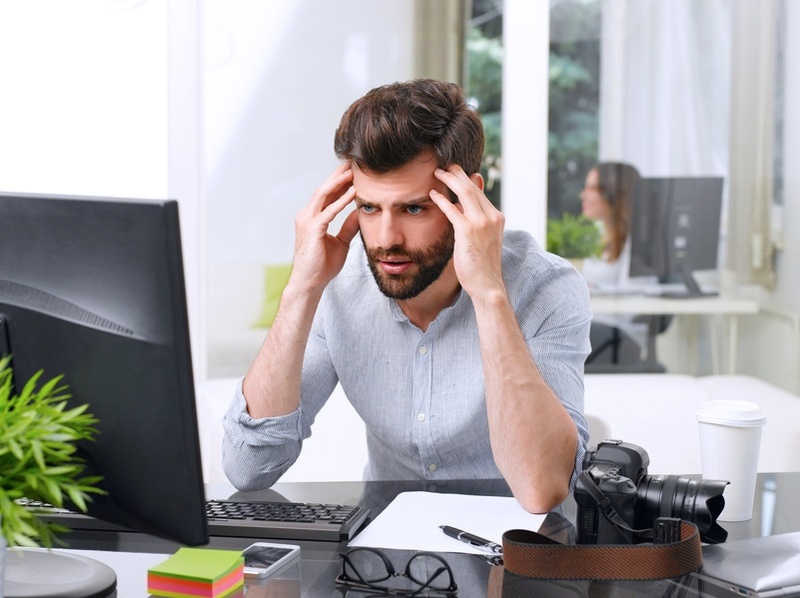 In fact, 27 percent of small businesses lack desktop support, which means you'll need to take time away from your leadership duties to fix it or find inefficient workarounds for the issue. Even small problems can add up fast when you have to fit it around an already hectic schedule. Teams and departments create their own data sets and use specialized software for their job duties. Over time, your business ends up with disparate silos where employees work on multiple copies of files. When these applications don't talk to each other through integration, the company misses out on additional functions and insights enabled by shared data. For example, your supply chain, accounting and customer relationship management software could work together to transform your fulfillment operations. The sales team could then see available products in stock and how soon they would reach the customer, along with other important details critical to closing the deal. Once the client's go-ahead is received, the information automatically goes into an invoice, and the warehouse adds the order to their packing list. Do you have a plan in place if everything goes wrong with your computer systems? Disasters have a habit of striking at the worst time, and a lack of preparation could sink your entire company. Even something as simple as a hard drive failure can set you back by weeks or months, depending on the timing of your last backup. You may have some files saved in cloud-based storage, which can help with the recovery, but without a formalized and comprehensive plan, you're often missing key documents. Some employees may store projects on their personal workstation and won't share it with the rest of the team. You have limited ways to retrieve those projects if their computers have issues or they delete the documents when they leave the company. The technology world moves fast; if you're not in the IT business, you waste a lot of time playing catch up. You need to invest resources into reading this news, alongside the issues that impact your own industry. Otherwise, you could be split in two directions and may end up missing prime opportunities for your business. The business is also at risk of emerging threats in the tech world, such as a new type of cyber attack or a widespread problem with hardware. You need a technology infrastructure that helps you scale without the same resources available to an enterprise. These IT resources assist your staff through automating duties and modernizing processes. However, a growth-centered strategy requires more than picking the latest software. Figuring out a good mix for the small business depends on an in-depth understanding of your industry and technical needs. The cloud introduced small businesses to many solutions that were previously available just for enterprises and other large-scale firms. Sorting through options can be overwhelming, especially when you don't have the technical background required. Data is a necessary part of doing business, but cyber criminals know you don't necessarily have the IT security staff on hand to protect it. In fact, 43 percent of cyber attacks impact smaller companies, and the financial implications of a breach can be long-lasting. You have many security aspects to consider when keeping your information safe; security knowledge is not the type of thing you can pick up easily with some Googling. A break-fix mindset always reacts to IT issues as they occur. You don't have any way to plan for the problems so you can allocate appropriate resources to it. Instead, you have to choose the quickest way to get back up and running, which is rarely the most efficient option. You can't move to a proactive mindset without an IT strategy that's focused on preventative maintenance and reliable performance. Any one of these problems is enough to hinder an SMB's goals, but a full-time IT staff doesn't always fit in your budget. You need access to IT experts if you want to compete in today's marketplace, especially if your target audience prefers technology-forward companies. Managed IT servicesare cheaper than hiring in-house IT staff, while still providing you with the resources you need to get ahead. Many SMB owners try to take everything on themselves, even if the task falls outside of their skill set. You shouldn't have to move away from the things you're good at to put out IT fires. By working with a managed IT services provider, you gain more time to lead your company and a reliable technology foundation. Learn more about CSG's managed IT services, and position your SMB with the competitive advantage you always wanted.